I was born and raised in Panama City, Panama. 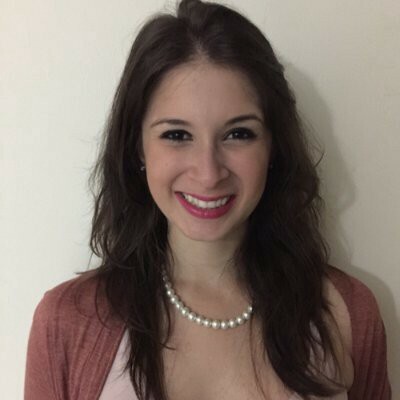 I started my life in the corporate world when I turned 20, as a Customer Finance Manager at Procter & Gamble, and completed my undergrad degree at night, while working during the day. I loved this world and was completely fascinated by the complexity, the excitement, the love for the brands, the interactions with consumers, the brilliant people that I worked with, and much more. A couple of years later, I decided I wanted to pursue a marketing career in the health & beauty industry, so I took a job as a Product Manager at L’Oreal. Even though I was in what I call, “the best school for Marketing and Business”, especially for emerging markets, I felt trapped in a bubble I couldn’t get out of. When I recognized this, I made the decision to pursue a more impactful and broader perspective of business through an MBA, rather than just continuing a traditional path of a CPG marketer. This is when I decided I wanted to pursue an MBA in the United States. In the middle of the first round applications, however, I got a little ‘surprise’ that shifted my plans. I was pregnant with who would turn out to be the most amazing little person ever! 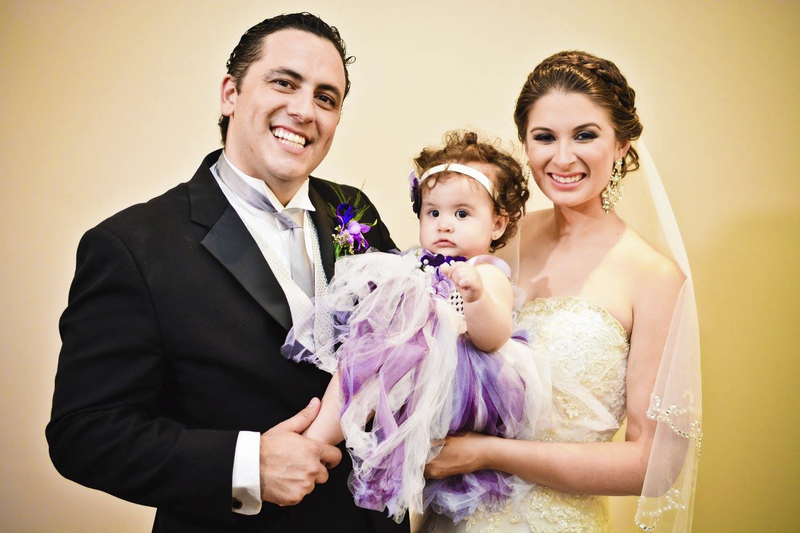 My husband Jorge and I already had plans to get married at some point, but our surprise accelerated our plans a bit, and what was originally an individual life plan quickly converted into our new family plan. I held off on applications during my pregnancy and then applied again to business school the next year. I wrote my application essays when Emma was a couple of months old, while breastfeeding at 2AM in the morning when she was (finally) half-asleep. 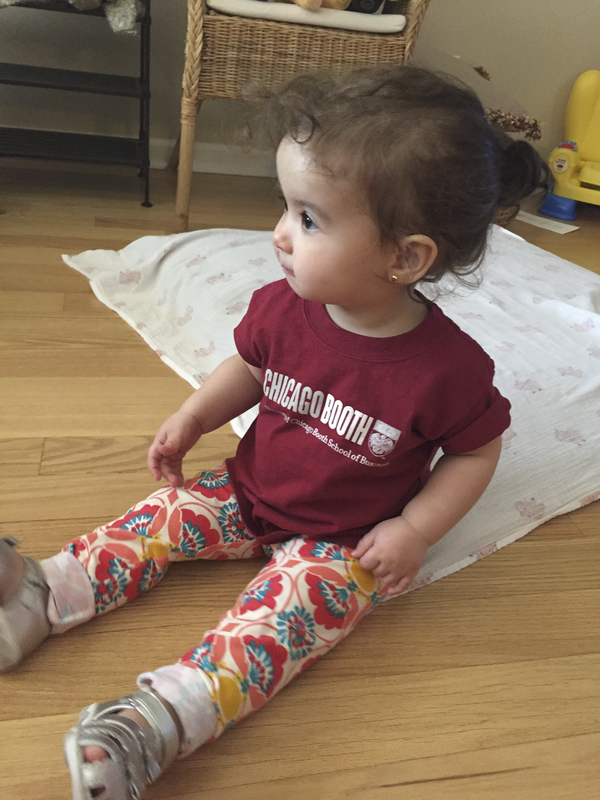 I was accepted to University of Chicago’s Booth School of Business, and when Emma turned 1 we moved to Illinois. I started my MBA that Fall, and Jorge joined Founders Institute and created his own start-up. I choose Booth because of its analytic and data-driven approach to business and because I felt connected to the school culture and my future classmates when I visited for ‘First Day’, our school’s event for admitted students. Booth offered the perfect mix of Marketing, Strategy, and Entrepreneurship that I was looking for in a business school. Pursuing an MBA with a child and no income is a tough decision, but after I met Sofia, a recent grad (then first-year) who is also a mom, and talked to her for a couple of hours, I realized that this was the path I wanted to take and that Booth was the perfect school for me. Booth was also the only school I physically visited, but after this trip (which by the way, was the first time I was away from Emma during our first year) I completely fell in love with it. I also have to admit that last year’s Uptown Funk Flashmob probably won me over as well. My life as an MBA Mama started off really tough, and I often felt that I could not handle it. Moving to a completely new country is challenging, and when you add a new school, new language, new classes, new people, the pressure of recruiting, and raising a child, things can get crazy and out of control. However, Jorge and I have had the support from our families from abroad, our friends back home, and our new friends here that remind us that we are here for a reason and that this hectic life can also be fun and exciting. People often say we’re crazy for doing this, but the experience we’ve had here during the past year is indescribable, it has helped me become a better person, and has helped us become a stronger family. In terms of my personal schedule, I try to balance my life as student, mom, wife, and friend. My family is my priority and I juggle my schedule around my family’s needs. However, for me, having a balanced life includes spending time doing things for myself, like going to Bootcamp classes several times a week, and spending time to develop relationships with others. I am involved in the Booth community through professional and social groups, our cohort, and the different groups of friends I’ve made during this year. I participated in case competitions, where I’ve often had to bring Emma to our group meetings because it was my turn to take care of her during the weekend. I go to TNDCs (Thursday Nights Drinking Socials) whenever I have the time, after I put Emma to sleep, and I go to dinners/lunches/brunches with my friends and often bring Emma with me so she can be a part of the Booth community as well. And I also find time to have dates with Jorge, even if its going to see a movie in the middle of the day. I do try to prioritize and not over-commit though. Jorge is very supportive and understands that for me, the Booth experience is much more than taking classes and finding a job. Emma will turn 2 in July. She goes full time to Rainforest Learning Center in South Loop, and we organize our schedule with very strict rules where Jorge takes care of her at night on Mondays & Wednesdays, and I take care of her on Tuesdays & Thursdays. We literally do not break our scheduling rule, unless there is a major event, where we usually call one of the four nannies we’ve met during our first year in Chicago. Most our family lives either in Panama or Guatemala, but I do consider Emma’s teachers as part of my support system here in Chicago. Her development since she started going to school has been incredible. Being my first child, I constantly find myself not knowing if I’m doing everything right, but every time she gets home and does something new — sings a new song, starts to color the walls, and says new words, I realize she is getting the best education she could ever have, and has the love of her parents, her teachers, and everyone she’s met here in Chicago, and that is all we really need to feel happy and proud. And finally, whenever I have a crisis, there are many Boothies that love Emma and take care of her as well. Booth has shaped my way of looking at the world. Every time I meet someone new and learn about their life story, I am impressed and inspired. Between classes, professors, alumni events, treks, student events, and speakers’ series, I’ve met amazing and successful people that have helped me define what I want out of life and most important, have made me realize that we are all human, and we are all capable of doing great things and truly changing the world. My first year at Booth has been amazing and I can’t believe its already over. An MBA is like a roller-coaster ride, full of moments of stress, like facing constant rejection during recruiting, and joy, like participating in all Booth Follies dances and performing in front of your friends and peers. I am excited for a less-hectic second year (or at least that’s what current SYs say) and investing more time in classes that I find interesting and challenging and defining my career plan after school. This summer I will be joining Google as a Product Marketing Intern in the YouTube Team. When I told my ex-boss that I needed him to write recommendation letters for my MBA applications, he asked me what was my plan, and I told him I was going to do Marketing at Google. This was two years ago, and I am super excited that I’ve been able to accomplish the goals I’ve set for myself. I am also excited to be a Co-Chair of Mothers at Booth and help bring more support to current Booth Moms and empower other mothers to come to business school as well. I am a firm believer that a woman can be both a mom and a successful professional. My mom raised me by herself while working full-time and never missed an important moment of my life. Her professional ambition was always one of her priorities in life and that inspired me to have my own ambitions as well. My advice for any mom who is interested in applying to business school is to just do it! You set your own goals and with perseverance and hard work, you will achieve them. Booth and many other business schools have a great support system for moms. We MBA Mamas often don’t give ourselves enough credit of pursuing an MBA while raising a child, but the truth is that we are all amazing and inspiring for everyone around us. Even though it is a tough decision to make, the moment you choose to apply is the first step of this amazing journey, and its definitely all worth it. And as someone once told me when I was stressed out, you will pay that debt, don’t worry about that! MBA Mama is an online platform that provides ambitious women with tools and resources to leverage an MBA and strategically navigate family/career planning.